Within the greater healthcare industry, burnout - a form of stress marked by exhaustion and growing disinterest in one's job - has become all too commonplace. Per a 2016 report from the American Medical Association, nearly 55 percent of all physicians experienced burnout, and for many specialties like emergency medicine, urology and neurology, those figures have only risen in recent years. "Nearly 55% of physicians experience some level of burnout." Battling burnout isn't just about bettering the lives of doctors and other healthcare professionals; it can also improve overall patient care. In 2015 a group of researchers from the Agency for Healthcare Research and Quality launched the Healthy Work Place study. As part of the project, clinical managers at 34 healthcare facilities nationwide were tasked to redesign elements like communication protocols and general workflow. After a year, there was a significant decrease in doctor burnout, but with one caveat: The study had little impact on the number of medical errors. While that might seem troublesome, Dr. Kenneth W. Lin thinks the results have greater meaning. In an opinion piece for Medscape Medical News, he explained that combating burnout not only creates better, more engaged providers (at least without statistical back-up) but it also sends the right message to prospective doctors and nurses. It's that message - one of a proper work-life balance - that can appeal to these future healthcare providers and ensure proper care in the future. In many ways, the well-being of doctors serves as the canary in the coal mine that is modern medicine. If these providers have issues, be it with managing stress or exhaustion, then experts know this can have a greater impact on healthcare as a whole. 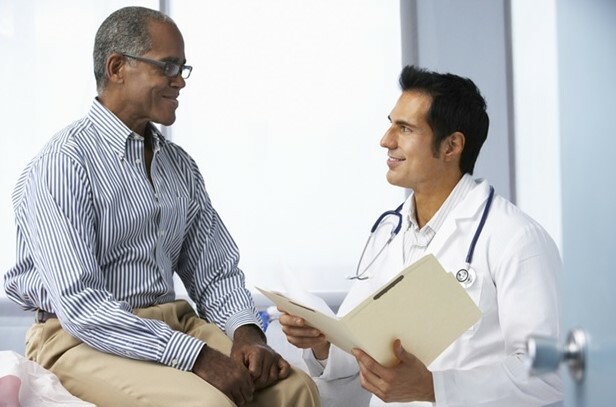 It's that theory that is helping doctors and other specialists to begin a series of interventions to ensure patient care isn't affected by any of these processes, as the American College of Physicians pointed out. These interventions can vary between the doctor and hospital. For instance, one organization had doctors order lab work before ending a visit; that way, there is no wasted time sending letters or follow-up calls. Others, meanwhile, have streamlined how prescriptions are filled or using set times each week to make business-related calls. Though minor, these steps have a way of improving patient care by addressing issues with efficiency and overall outreach. It's about using the issues that cause burnout to pinpoint specific areas that can be improved for the sake of patients. It's not about simply streamlining processes within a hospital as a means of bettering patient outcomes. Some organizations are getting creative with their efforts to tackle burnout, and these can have a huge impact on interactions with patients. For instance, in June 2013, several hospitals around the U.S. implemented a program called fatigue therapy, as the Washington Post reported. In these sessions, doctors, nurses and other professionals partake in certain activities, like pottery or group counseling, to help them deal with stress and anxiety from work. By addressing these issues, medical personnel are more energized and better able to treat patients, going so far as helping them cope with their own emotional issues. That means a greater, more well-rounded scope of coverage for patients, addressing their own stress and anxiety that comes with treatment. This level of care hasn't always been available: According to a survey published in the British Journal of General Practice from a few years ago, the majority of patients believed that doctors didn't always fully address stress-related symptoms. Now, doctors and patients are alike in treating the stress that comes with the average healthcare regimen.